OCBC upgraded Frasers Commercial Trust to Buy, saying its unit price is attractive, with Singapore’s Grade B central business district (CBD) offices set to recover. 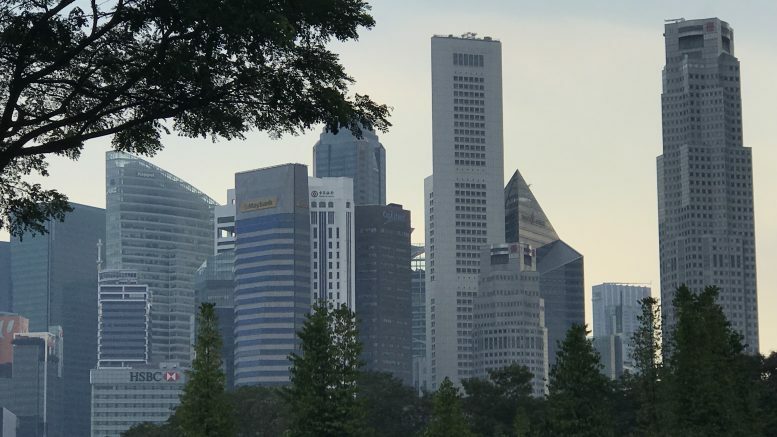 OCBC pointed to data from CBRE, which forecast Grade B CBD core monthly rates would rise around 7.4-8.8 percent in 2018-19. The bank noted that at the start of the last rental recovery cycle in 2013, FCOT’s forward yield tightened to around 5.5 percent, while it is currently trading at 7.0 percent 2018 yield, not too far below its seven-year average. That compares with Grade A peers, such as CapitaLand Commercial Trust and Keppel REIT, which are already trading at yields well below their seven-year averages. Yields move inversely to prices. OCBC kept its fair value unchanged at S$1.51. The unit is up 0.71 percent at S$1.42 at 1:17 P.M. SGT.